never.no today announced that Zachary Weiner has joined the company as the director of global marketing. In his new role, Weiner will work to create exposure and understanding of never.no's Social TV And Multi-screen product suite among broadcasters worldwide. From Norway to the tip of Africa, never.no already has strong traction with broadcasters who are embracing Social TV and its power to connect with audiences. — never.no today announced that Zachary Weiner has joined the company as the director of global marketing. In his new role, Weiner will work to create exposure and understanding of never.no's product suite among broadcasters worldwide. He will also focus on evangelizing new trends, methodology, and best practices for Social TV and Multi-screen television. Weiner has acted as a creator and incubator of several marketing and advertising consultancies that span the boundaries of the digital and television ecosystem. His previous role was as the CEO of CTV Advertising, a digital agency and marketing service provider focused exclusively on emerging television methodology across connected, social, and multiscreen mediums. He co-founded the Connected TV Marketing Association, and in June won the award for individual leadership in the “interactive and multiscreen TV” category at the TV of Tomorrow Show produced by Interactive TV Today. Weiner is also a popular blogger and contributing writer to publications that focus on new media technology. More information about never.no products is available at http://www.never.no. 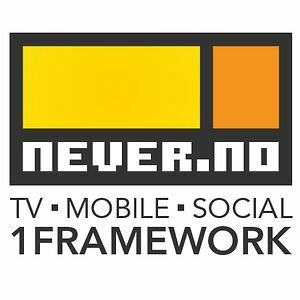 never.no’s award-winning interactive “TV. Mobile. Social. 1Framework.” technology connects fragmented media platforms across broadcast TV systems, mobile, and social media platforms — enabling real-time viewer participation, Social TV, and synchronized companion apps. In operation since 1999, never.no has a global customer base including top brands such as Al Jazeera, BBC, CBC, Danmarks Radio, MBC, Music Choice, TV Norge, TV 2 Norge, TV 2 Danmark, Viasat, and VOA. More information about never.no products is available at http://www.never.no.